The last interim list before the Longines World's Best Racehorse Rankings Committee meets in Hong Kong next month to debate the final, and official, rankings for the year reflects the past month of racing. 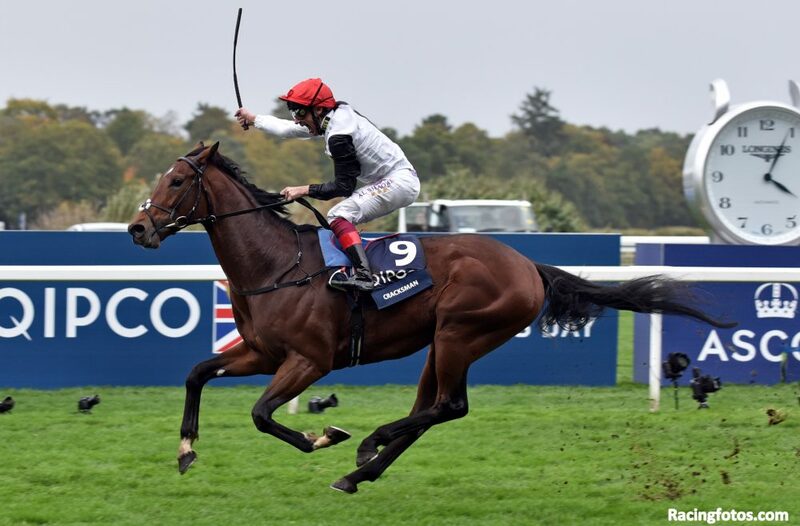 With his resounding victory in the QIPCO Champion Stakes (G1), Cracksman (GB)  has moved into third place in the ninth edition of the Longines World's Best Racehorse Rankings for 2017. In the United States, the Breeders' Cup World Championships impacted the ratings of a number of horses. Leading the way was Breeders' Cup Classic (G1) winner Gun Runner (USA) , who improved from 127 to 129 with his 2 ¼ length victory over Collected (USA) . West Coast (USA)  was third, while War Story (USA)  was fourth. Talismanic (GB)  is rated after his win in the Longines Breeders' Cup Turf (G1), while Roy H (USA)  joins the rankings due to his victory in the TwinSpires Breeders' Cup Sprint (G1). Furthermore, Battle of Midway (USA)  defeated Sharp Azteca (USA)  by half of a length in the Las Vegas Breeders' Cup Dirt Mile (G1). The final year-end rankings for 2017 will be revealed during the Longines World's Best Racehorse Ceremony this coming January. This entry was posted in Racing and tagged arrogate, cracksman, enable, gun runner, Horse Racing, longines, longines world's best racehorse rankings, thoroughbred by Edited Press Release. Bookmark the permalink.